This entry was posted in IT, Lean thinking, Management, Management Articles, Toyota Production System (TPS) and tagged , Canada, Toyota on April 24, 2008 by John Hunter. This entry was posted in Google, Innovation, IT, Management, Software Development on September 19, 2007 by John Hunter. 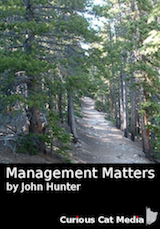 This entry was posted in Health care, Lean thinking, Management on June 13, 2007 by John Hunter. Great post – Do Kaizen Like Toyota [the broken link was removed]: Standardize how you solve problems… This is where following a standardized approach to problem solving based on the scientific method can help keep your kaizen efforts on track. Not to be prescriptive, but the PDCA wheel is hard to beat. Very true. This entry was posted in Lean thinking, Management, Quality tools on May 21, 2007 by John Hunter. This entry was posted in IT, Management, Management Articles, Software Development on February 15, 2007 by John Hunter. This entry was posted in Lean thinking, Management, Quality tools on August 12, 2006 by John Hunter. 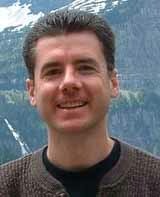 This entry was posted in Management Articles, Quality tools and tagged Quality tools on July 19, 2006 by John Hunter. This entry was posted in Lean thinking, Process improvement, Toyota Production System (TPS) on July 17, 2006 by John Hunter. This entry was posted in IT, Management, Toyota Production System (TPS) and tagged IT, Management, Quality tools, Toyota on June 22, 2006 by John Hunter. This entry was posted in Lean thinking, Quality tools and tagged continual improvement, Quality tools on June 14, 2006 by John Hunter.